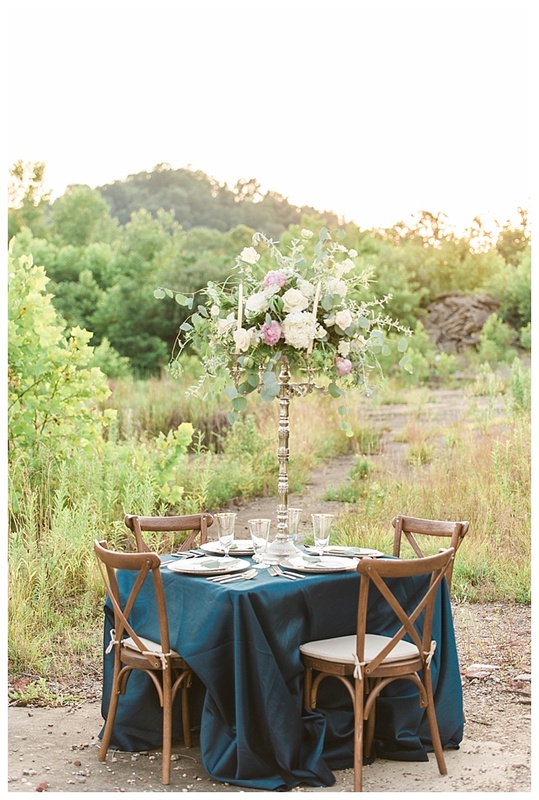 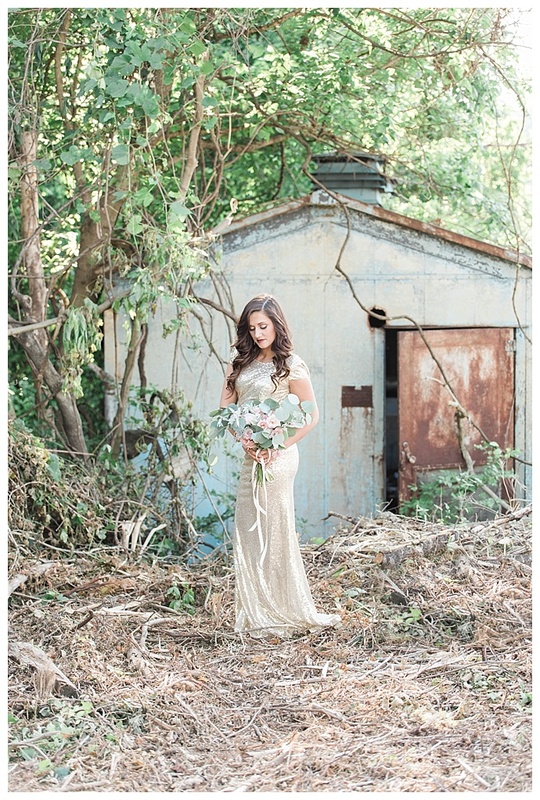 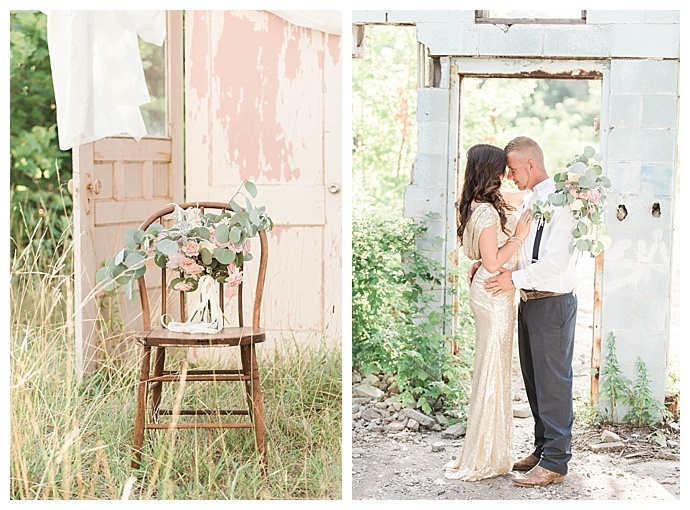 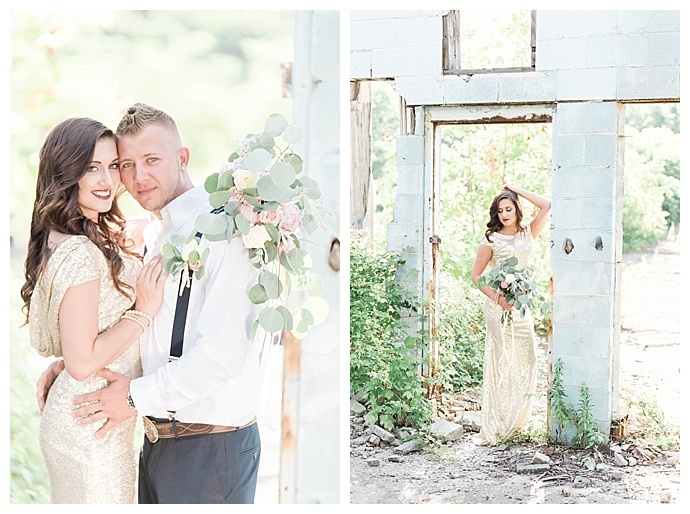 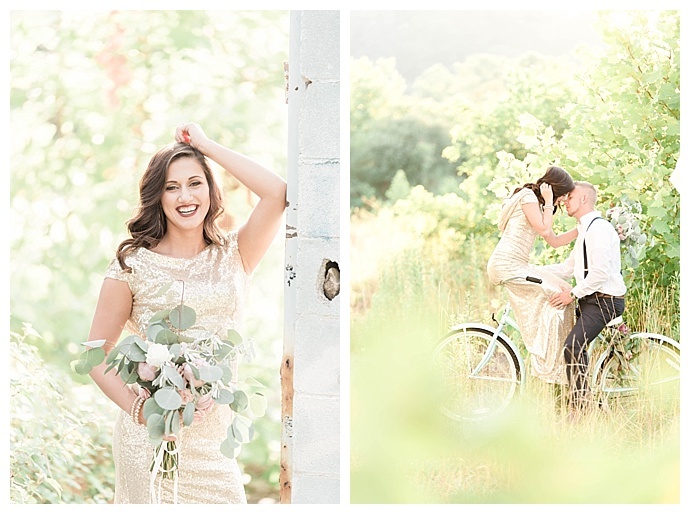 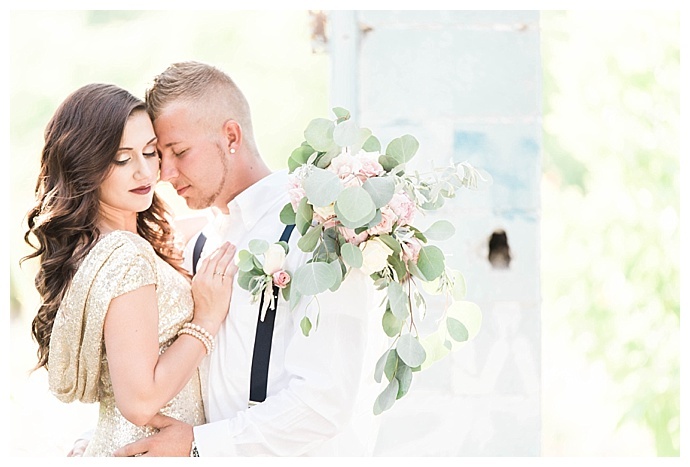 At an abandoned glass factory in Clarksburg, West Virginia, Britani Edwards Photography captured Calie and Justin’s glamorous engagement shoot where the ruins of the abandoned factory created a beautiful texture against the fresh greenery sprouting from the ground. 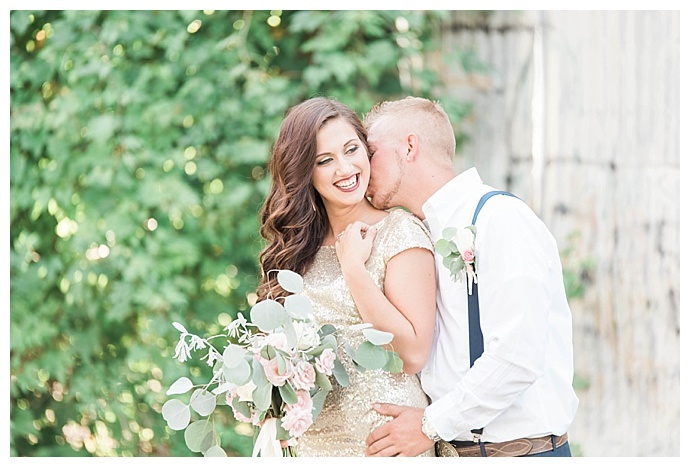 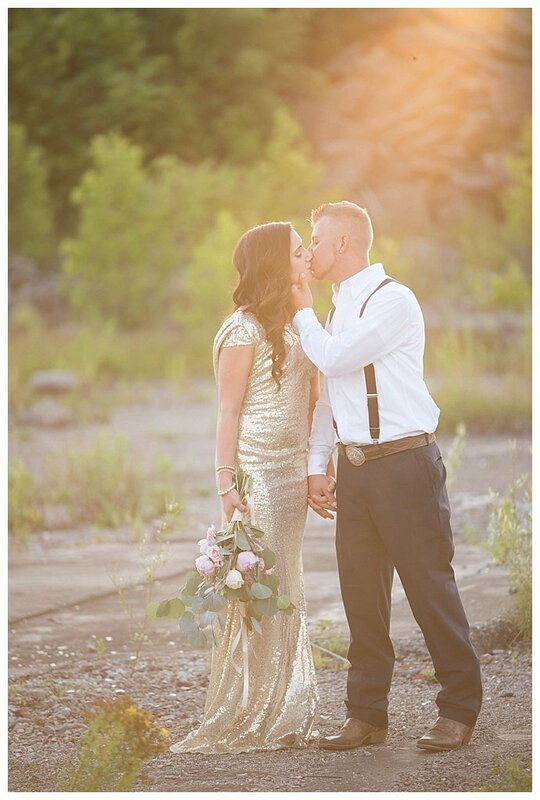 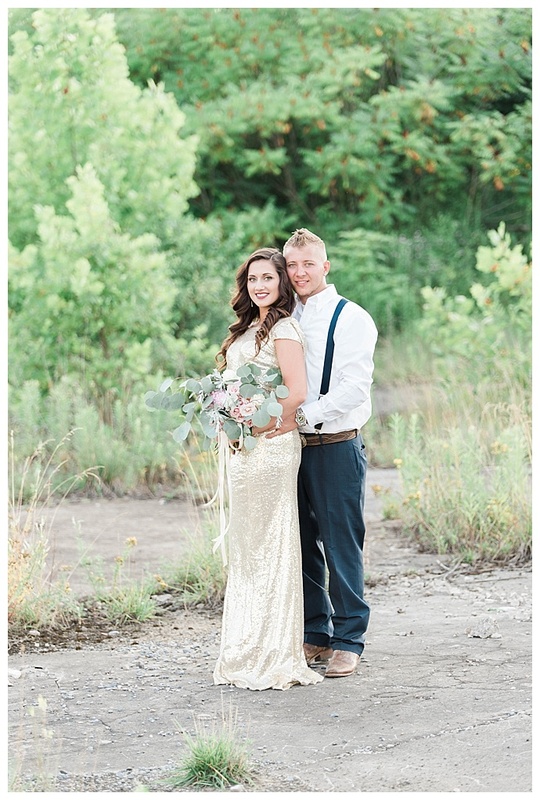 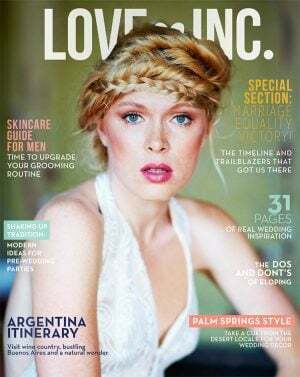 Calie looked absolutely stunning in a floor-length sparkling gold skitter dress with a beautiful bouquet of pink and white roses and eucalyptus leaves in hand, and Justin was just as dapper in navy blue pants and matching suspenders. 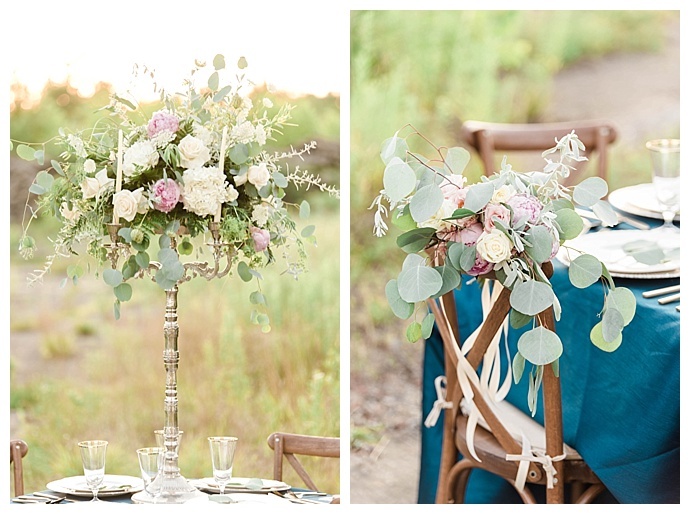 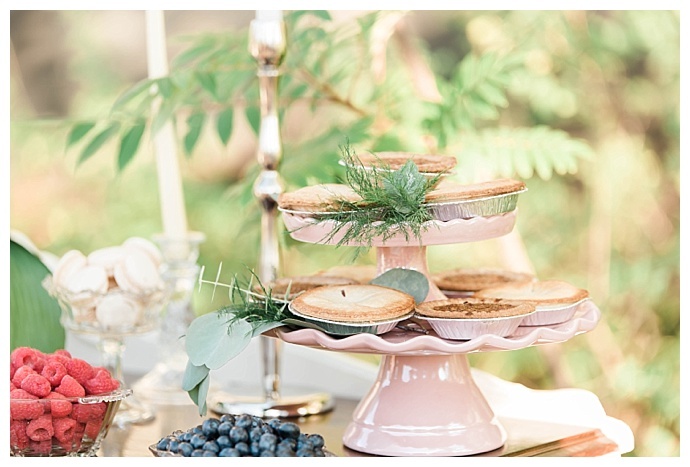 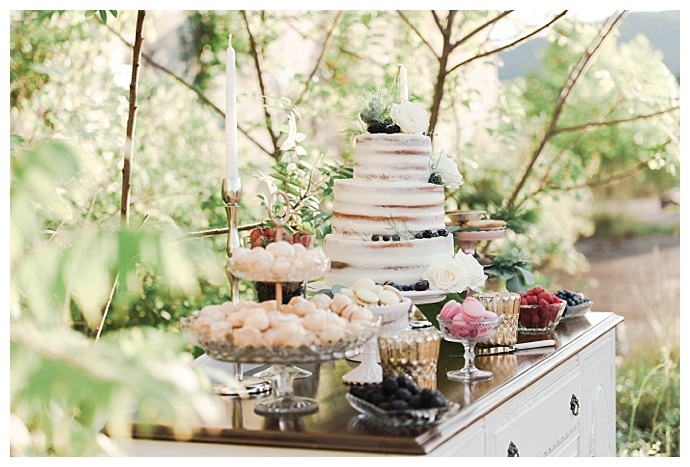 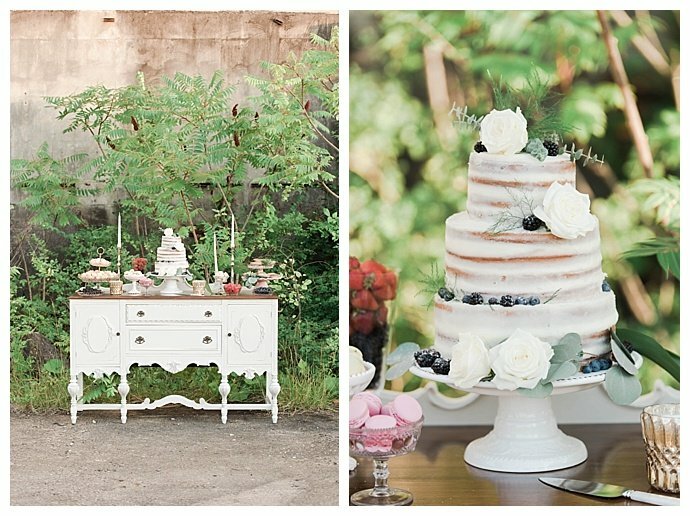 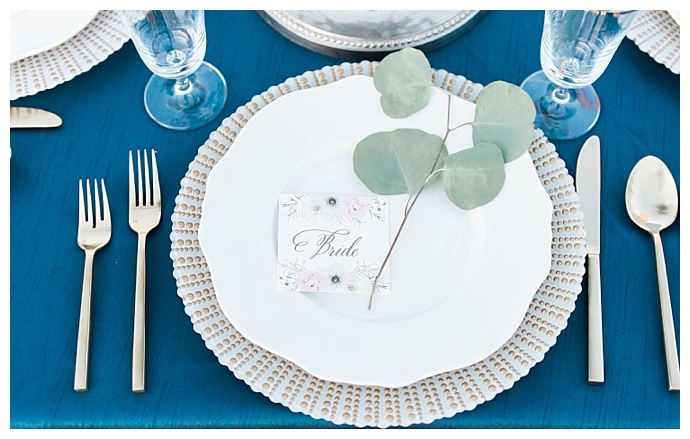 According to their photographer, a stylish couple deserves an epic shoot, which is why they went all out with a beautiful stylized tablescape and incredible vintage cake table filled with decadent desserts, featuring a sheer naked cake with white roses and eucalyptus leaves, brightly colored macarons, fresh fruit and personal pies. 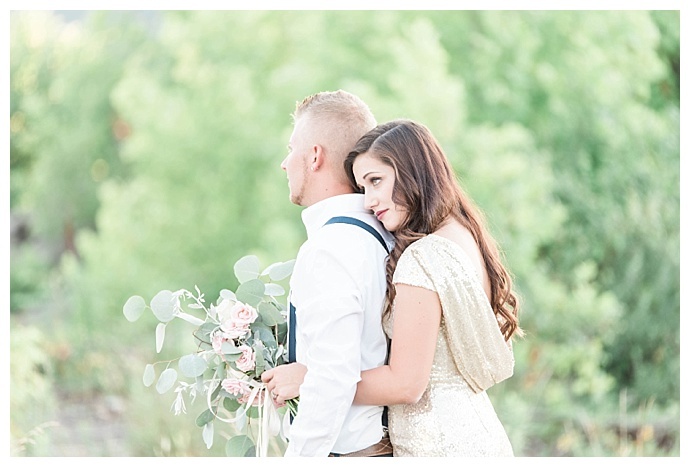 There’s so much to love about this engagement shoot, but seeing a glowing couple in love truly warms our hearts. 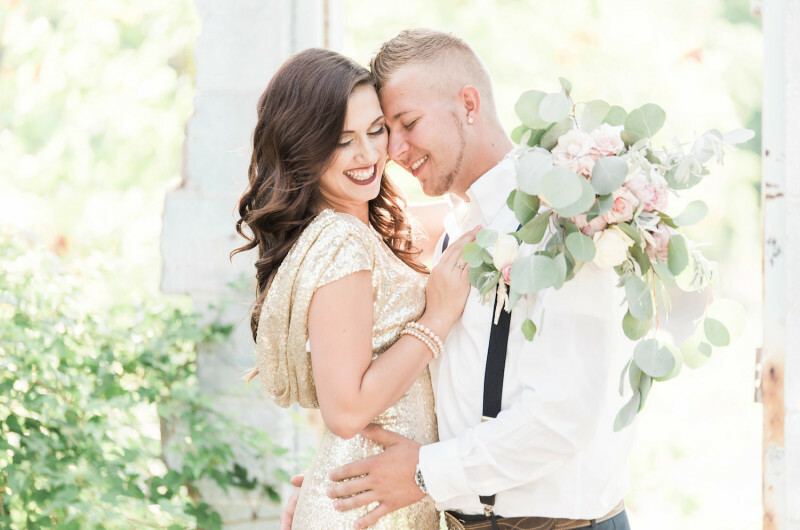 Calie’s three-tier engagement ring features 10 sparkling diamonds in each tier, which she says is absolutely gorgeous.